Dart River flows near its terminus into Lake Wakatipu, South Island, New Zealand. 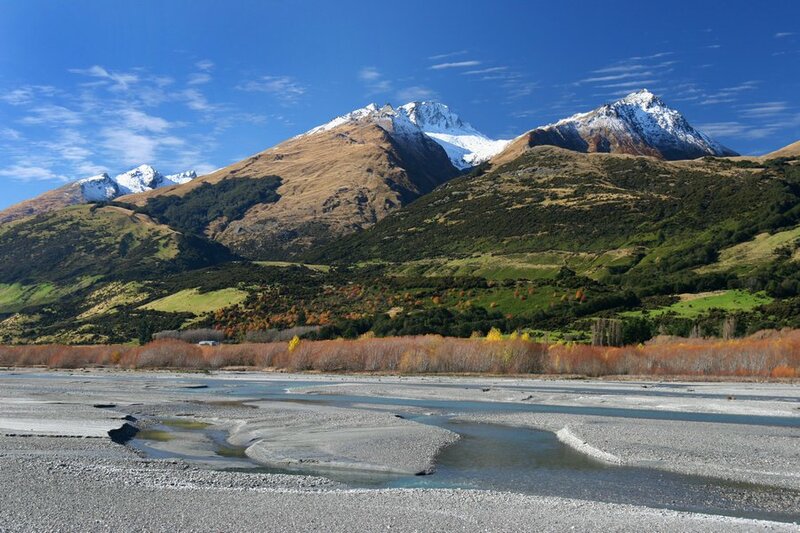 This increasingly popular area is an hours drive from Queenstown, a world famous outdoor adventure center. Photo © copyright by Johnathan Ampersand Esper.